Two weeks ago I had an opportunity to visit the fourth group of women inmates Tanya is leading through our LUV Transformation Discipleship in a S. Florida Jail. I was anxious to meet the women and hear what God is doing in their lives. However, no one was getting approval to visit the jail at this time, and those who normally are approved have to go through a rigorous application process, finger prints, hours long orientation etc. It would take a miracle for me to be approved to visit! On the 2.5 hour drive to the jail the words “YOU HAVE BEEN APPROVED!” played over and over in my mind. These words gave me permission, confidence and freedom to walk in and out of a place where most women going in do not have the freedom to walk out. The women came into the jail community meeting room carrying their LUV workbooks and bibles. I wondered how many of them had ever heard words of approval or acceptance before they came to Tanya’s butterfly group. I felt overwhelming love for these women in their brokenness. No wonder Jesus loved to hang out with sinners. There must be no better place than jail or prison to understand the power of the gospel or experience the sweet hope of the Good News of God’s love and acceptance through Jesus. The women may have broken a social or civil law, but I was humbly and deeply reminded that there was no difference between us – we have all broken God’s perfect law. BUT GOD – SO LOVED the world that He sent His only Son …..not to condemn the world, but that the world through Him might be saved! John 3:16-17. I was so proud of Tanya and what God is doing as He unveils His love and truth to these women every week through her teaching and discipleship. 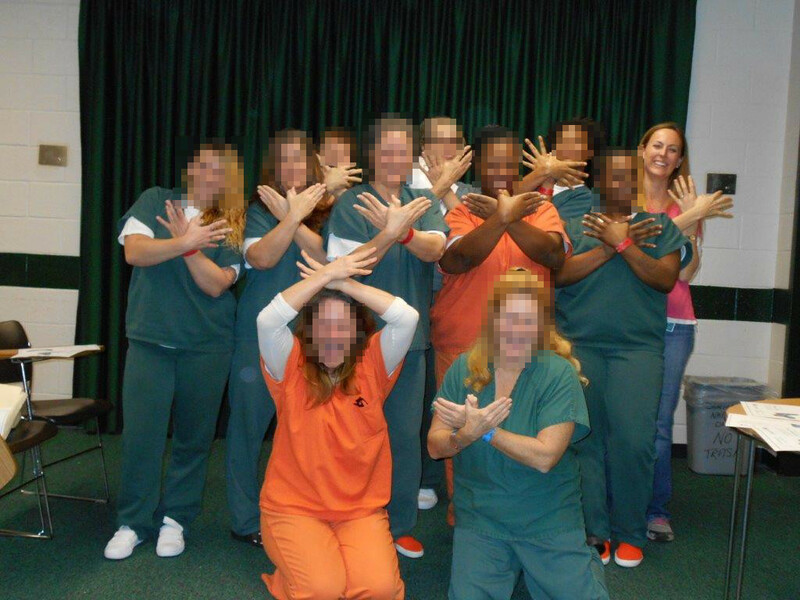 Almost every woman coming through the Jail butterfly groups has received Jesus as her savior. But their wounds go deep. After a time of worship, Tanya led the women through our lesson on Inner Healing. Several women courageously opened up about their wounds. A dark shadow came over the face of one young girl who had been full of joy during the worship. She asked Tanya why she felt such deep anger when we talked about forgiveness. I later learned she had been raped by her brother who is now a law enforcement officer. This is one of many hard painful questions for which these women need answers and healing. Transformation and healing are necessary for them to live in the freedom and approval God has given them. They may be released from jail, or go on to serve a longer sentence in prison but their time in the butterfly groups is helping them to grow, to receive healing in their hearts and to transform their minds with God’s word so they are better equipped and empowered by His Spirit to live in the freedom God has given them where ever they are. After our time with the women Tanya and I met with the County Jail Chief and his Director of Programs, both godly gracious men, who had approved my visit. The Chief has given his full support to continue Love UnVeiled in his jail and wants to endorse Love UnVeiled in other jails in Florida through the Florida Sheriffs Association. I thank God for the transformation He has done in Tanya’s life and the multiplication resulting through her obedience to His call to the Jail. “Where sin abounded, graced abounded much more!“ Romans 5:20 has fresh meaning for me this Easter. I have never been so thankful for God’s grace – nor has His freedom and forgiveness felt so precious, as it did sitting with Tanya and my sisters in jail last week. This Easter and always, let us thank God that we are “APPROVED” by Jesus to enter boldly into God’s presence – through nothing we have done, but by everything Jesus has done! Thank you for your prayers and support which allow us to continue bringing Good News to the poor, heal the broken hearted and set captives free! With warm love and prayers of thanksgiving for you and your family this Easter. Deliverance from strong holds of addiction and behavior patterns/relationships which can lead to repeated crimes when the women get out of jail. 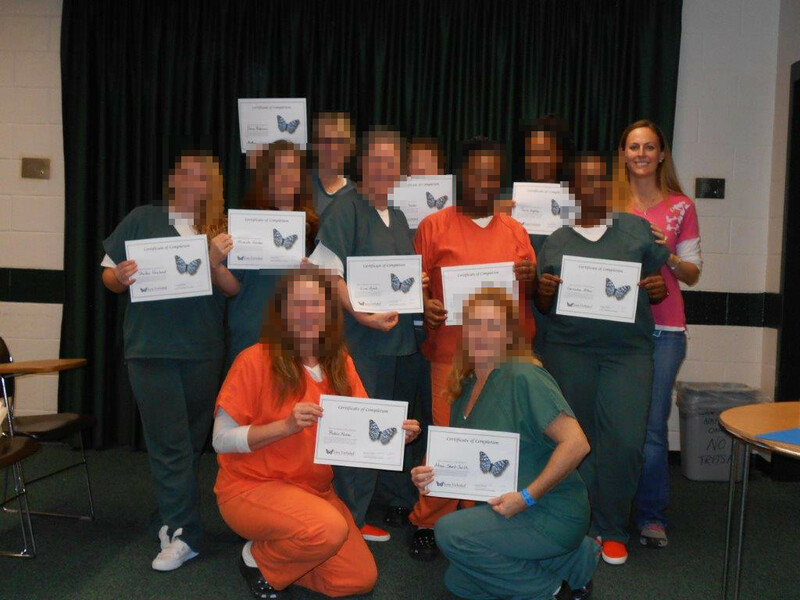 A deep Holy Spirit transformation to take place in each woman’s life during their time in the jail butterfly classes. A hunger to continue to grow as disciples and to be discipled during their time in jail and after they leave. Courage and boldness to live Spirit filled lives in jail and when they leave. Holy Spirit will empower Tanya with wisdom, strength, courage and spiritual understanding as she disciples women in these difficult situations. For other Butterflies and mentors who will come along side Tanya, to follow up and mentor the women when they are released. For God to raise more Butterflies currently being equipped and discipled in our Workshops, to be ready to go into jails to disciple women when God opens those doors. Funds to provide Tanya with the resources she needs for her women in South Florida.